SHATTERED CHILDHOOD. A synopses for the book and a screenplay. They both go by the same name. Lucy Deutsch, born in Irshava Czechoslovakia on April 13 1930. 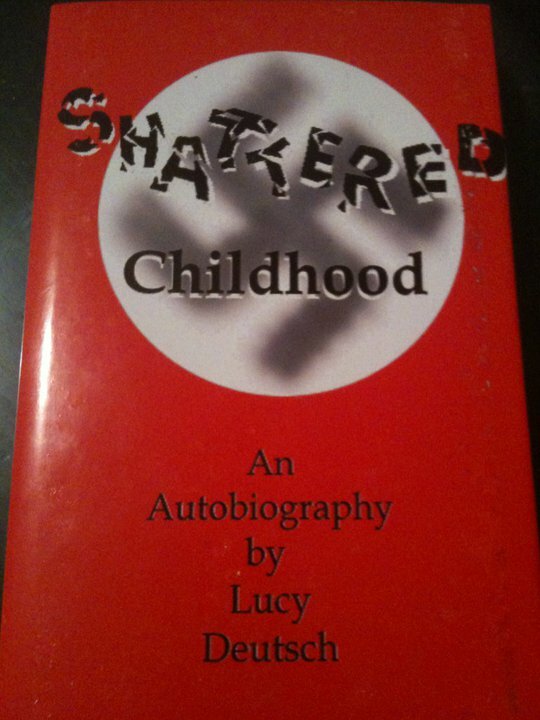 SHATTERED CHILDHOOD a true story of a child living through unspeakable horrors in world war II. In 1939, when the war entered her young life, Irshava and its provinces became Hungary, she had to learn about hatred and oppression against Jews. But all of this didn’t stop her from having a happy childhood. The author’s compassion and insight develops her own character, using an innocent stile reflecting her childhood purity. 1. Her efforts to organize help for old people, and bring laughter to small children in the Ghetto. 2. On the train to Auschwitz, she describes terrible events. 3. Her first night in Auschwitz which followed the discovery that people are being burned in the crematoriums. 4. Touching and heart-warming events between her and her big sister. Tragically to be separated. 5. Later in camp Branau, finding compassion from a German woman. 6. Being saved by a miracle from the death house after a tragic accident. 7. On the death march, in constant physical pain, seeing women prisoners shot death in the ditch. 8. Liberation from the Germans. Vivid description of the front between the Russians and the Germans. 9. The homecoming and bitter discovery that she has become an orphan. 10. Struggling to reach freedom from a new oppression. Imprisonment unjustly by the Russians. 11 Coming of age and discovering love. 12. Description of spiritual feelings and becoming a freedom fighter for a good cause. 13. Finally reaching America, and making a successful contribution to humanity. Becoming a writer of human interests. Creating a successful manufacturing bushiness of fine leather goods. In the screenplay, when in concentration camp, she describes horrible events, there are scenes in the camp which are interspersed with scenes of happy times at home. The book contains WWII chronology of events which makes it a historical document besides her life’s story.